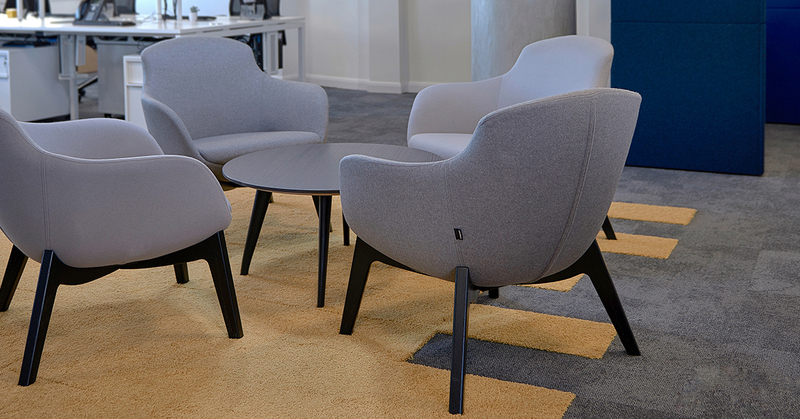 The ILK Low Chair from Frovi comes as part of the ILK product family, featuring a range of soft seating options suitable for the office or home environment. The Frovi ILK Low Chair is a comfortable, mid-backed tub chair available in a wide range of fabric options and available with three different base variations. This listing is for the 4 leg wood base variation. The Frovi ILK Chair 4 Leg Wood Base comes with a full manufacturers warranty.